Dwayne 'The Rock' Johnson will kill off Kevin Hart in the 'Jumanji: Welcome To The Jungle' sequel. The 46-year-old actor has responded to his friend and co-star's Comedy Act win at the People's Choice Awards, and joked he'll use his creative control to write him out of the next movie. Along with a middle finger emoji, he joked: "I mean Im happy for my son, but you gotta be s****in' me?! I do all the heavy lifting in our comedy act and HE takes home the gold? 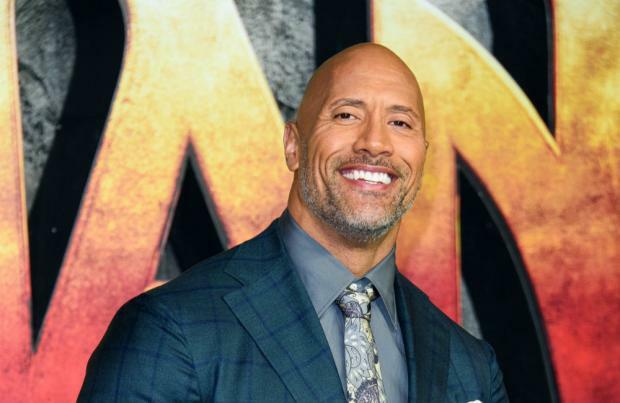 "Welp, seeing as I'm producer of Jumanji, guess who's character is gonna die in the opening scene when we start shooting in Jan. #BuhByeKev (sic)"
His tongue-in-cheek comments come after Hart – who has also starred opposite him in Central Intelligence – took a jab at the former WWE champion in his acceptance speech on Sunday night (11.11.18). He said: "Huge, HUGE! Let's just get down to the nitty gitty – I'm better than Dwayne 'The Rock' Johnson, let's just underline that. In your face, people don't like you – they like me. "With that being said, I'd like to thank all the people that voted for me. I've gotta thank just in general, the awards in general. "You guys have forever embraced me. You've shown me love. Thank you guys. So dope. I can't believe it. Another People's Choice Awards. "I will continue to do it for you guys, because you're the guys that matter. The people and their choices. You see what I did there?"